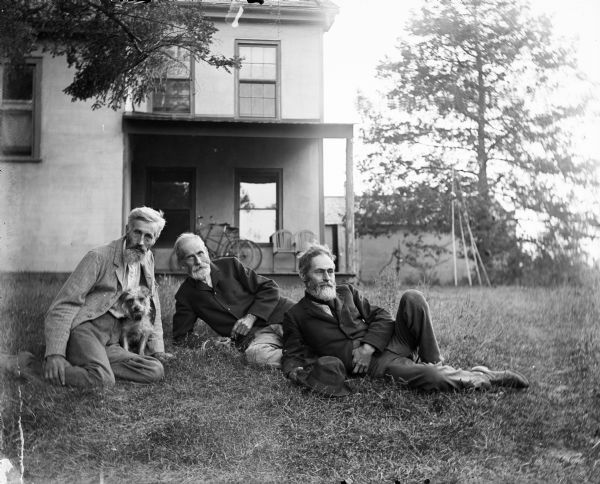 Outdoor group portrait of the Turvill brothers. All three men have beards. They are posing sitting on the ground in front of the family home. The man on the left is posing with a small dog.